This Jacobean city comedy is a curiosity in that it presents a real-life character, the notorious cross-dresser Moll Frith, who probably was among the first audiences of 'her' play before she was taken up for public misconduct. 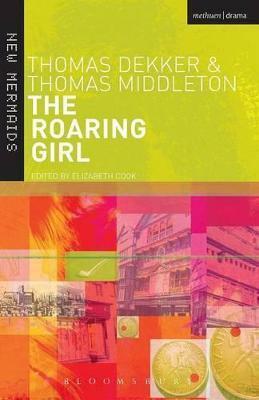 Middleton and Dekker's 'roaring girl' may outrage her society with her pipe, bluster and swagger, but she turns out to be the moral centre of the play. Her code of honour leads her to call the bluff on rogues and conspicuous consumers, to thrash a hypocritical gallant in a duel, and to act as go-between for the young lovers thwarted by parental tyranny. This wry dramatisation of female deviancy exposing male ineffectuality is as much to the point today as it was in King James's England. An appendix helps the modern reader to appreciate the canting terms used by the low-life characters. Thomas Middleton (1580 - 1627) was an English Jacobean playwright and poet. Thomas Dekker (1570-1632) was an English dramatist.